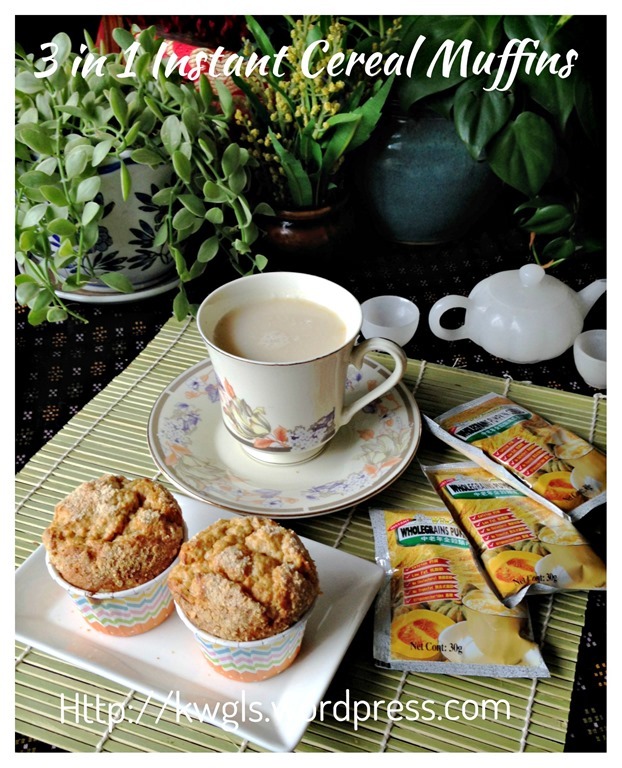 I eagerly wanted to keep my promise of giving readers 10 choices of muffins in my new muffins series and this is the 10th and the last muffin.. Not until a few months later, I will design some new muffins. 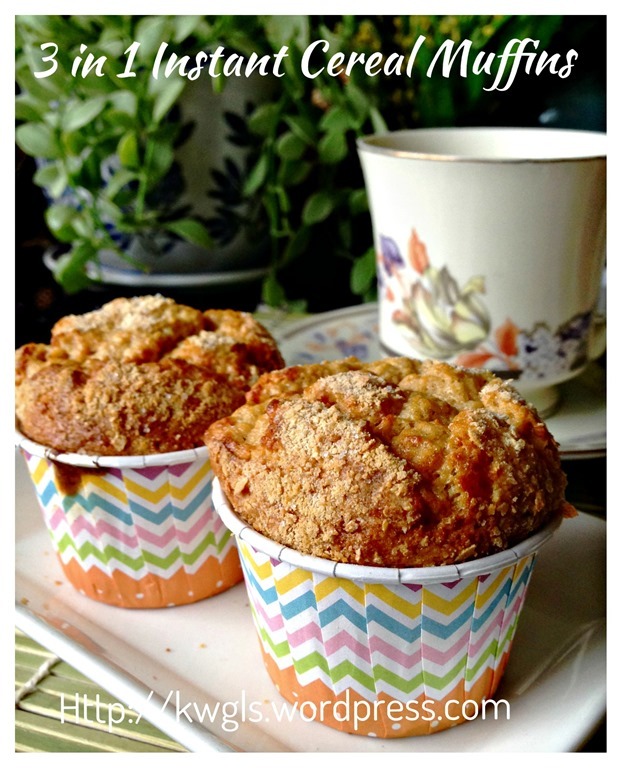 This is a rather special muffin without the use of flour but baby cereals. In this illustration, I have use instant 3 in 1 cereals that have milk and sugar. However, you can always use the normal baby cereal and add sugar to suit your taste buds. 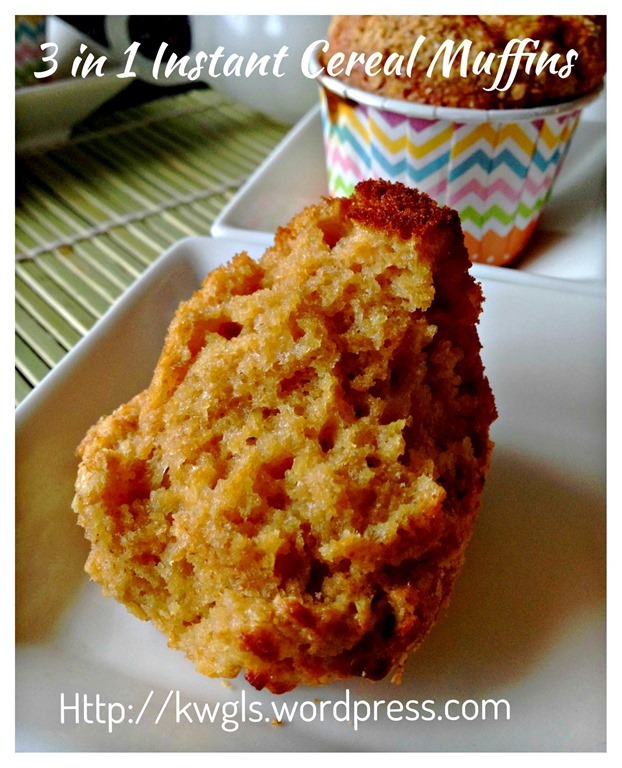 Cereal is a good moisture retainer and this muffin is moist and spongy. After it is out of the oven, it is slightly crispy but as time passed, it will become very moist.. This is especially so after 8 hours of preparation. 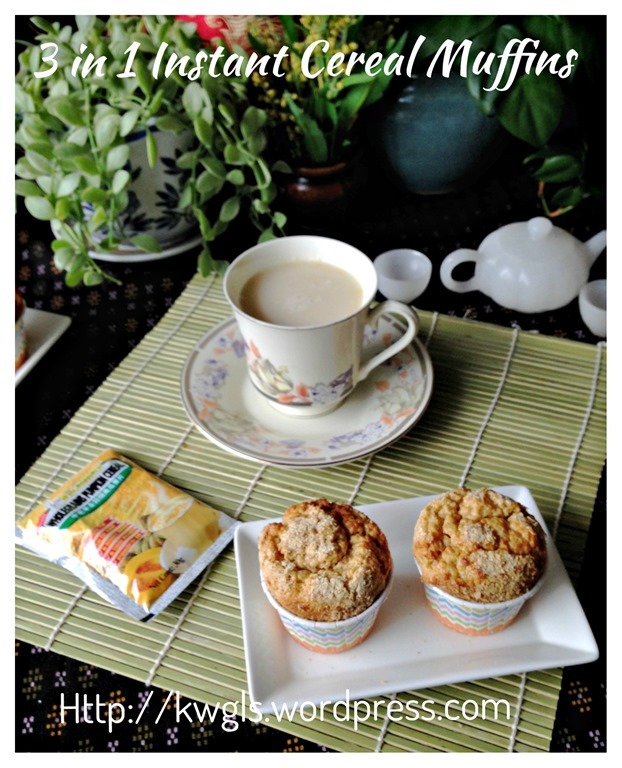 The muffins have a rather strong baby cereal aroma and those who like the baby cereal should give it a try. In a mixing bowl, put all the wet ingredients (eggs, cooking oil or melted butter, milk and condensed milk), stir until well mixed. Put the 3-1 instant cereal or baby cereal + sugar + milk powder and sift the baking powder onto the bowl. Use a spoon to stir until well combined. 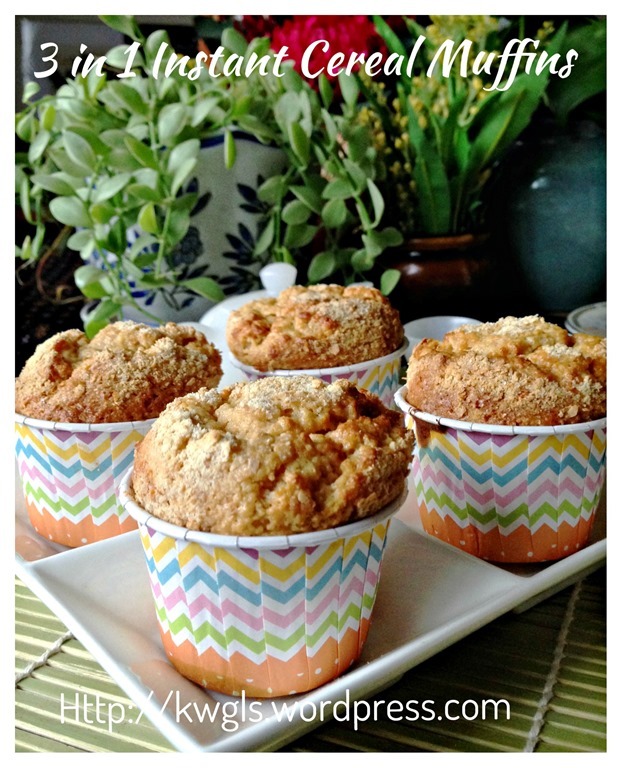 Transfer the batter to the muffin cups. Fill the cup to 3/4 cup full and dust with additional cereal if desired. Bake in the pre-heated oven of 180 degree Celsius for about 15 minutes for small muffin cups or (25 minutes for big muffin cups) or when a skewer inserted into the centre of the muffins comes out clean. 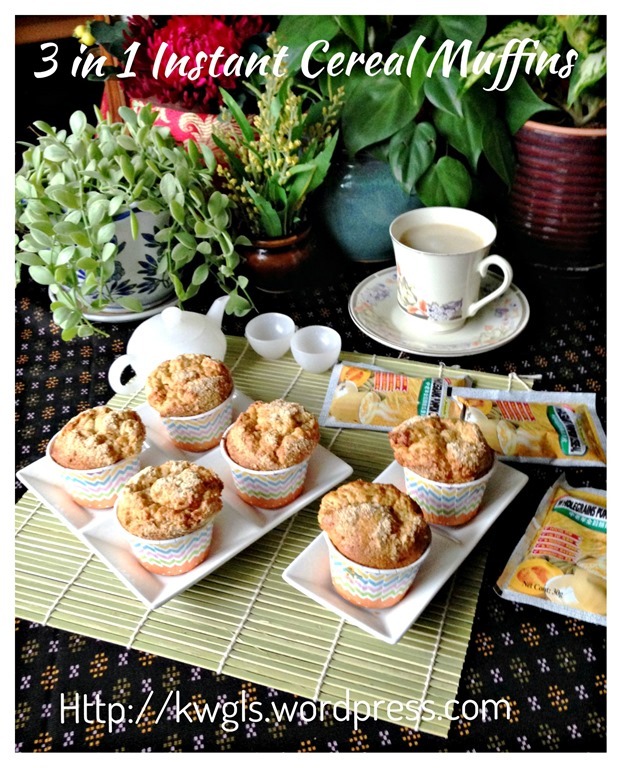 Because the muffin have no flour, it is not as compact as normal muffins. 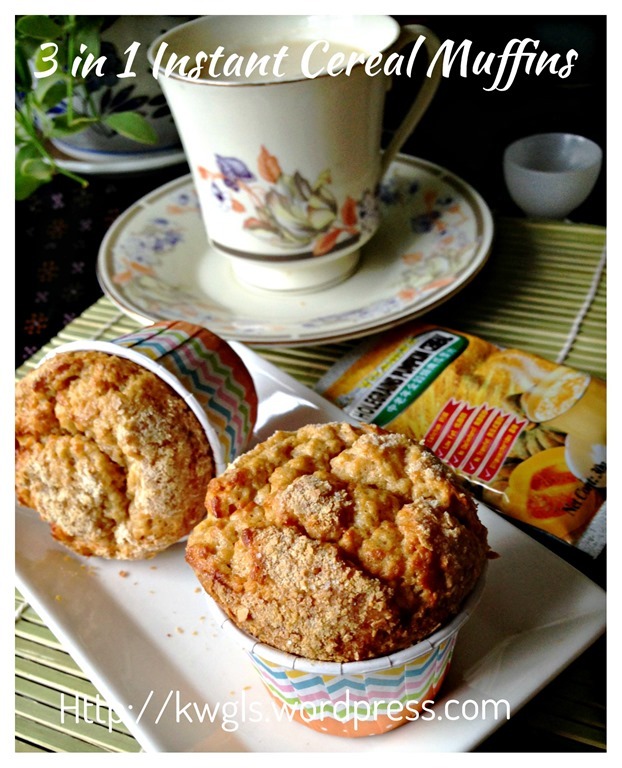 The look of the muffin may not be that beautiful but the taste and texture of the muffin are awesome. Do give it a try. In the next few days, I will do a compilation of all the muffins in both new and old series of muffins. Hope you like the post today. Cheers and have a nice day. 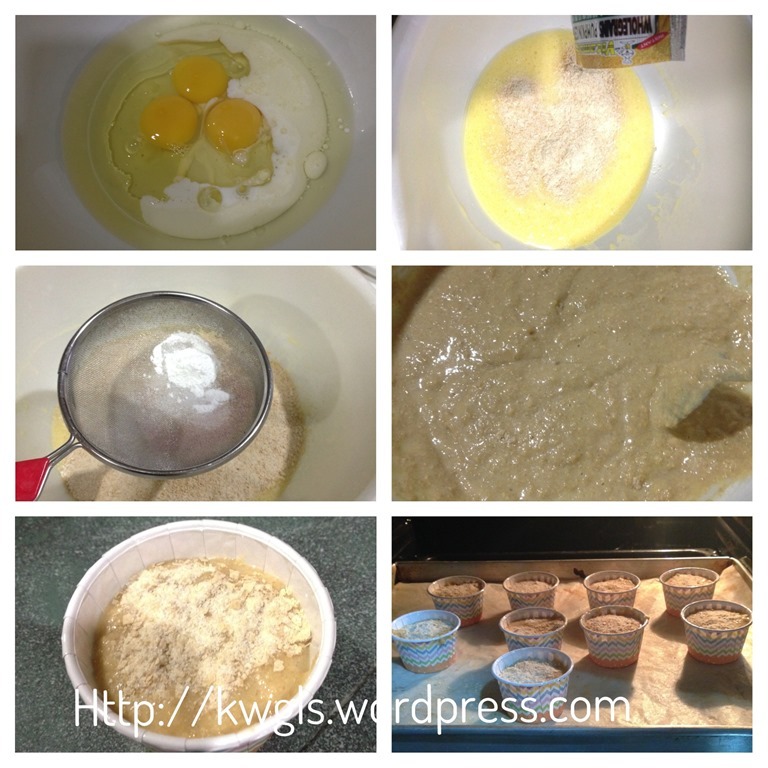 This entry was posted in Cakes and cookies, Food Preparation Series and tagged 8, Baby Cereal Muffins, Cereal muffins, GUAI SHU SHU, Guaishushu, kenneth goh, postaday, 小孩麦片小松饼. Bookmark the permalink. Pardon me for asking, Ken. You see, My daughter grabbed a small tin of baby cereal from the supermarket shelf recently when we went shopping. She said she missed the 味道 of this baby food and now I have an 80% tin-ful of cereal sitting in my cabinet waiting for expiry. 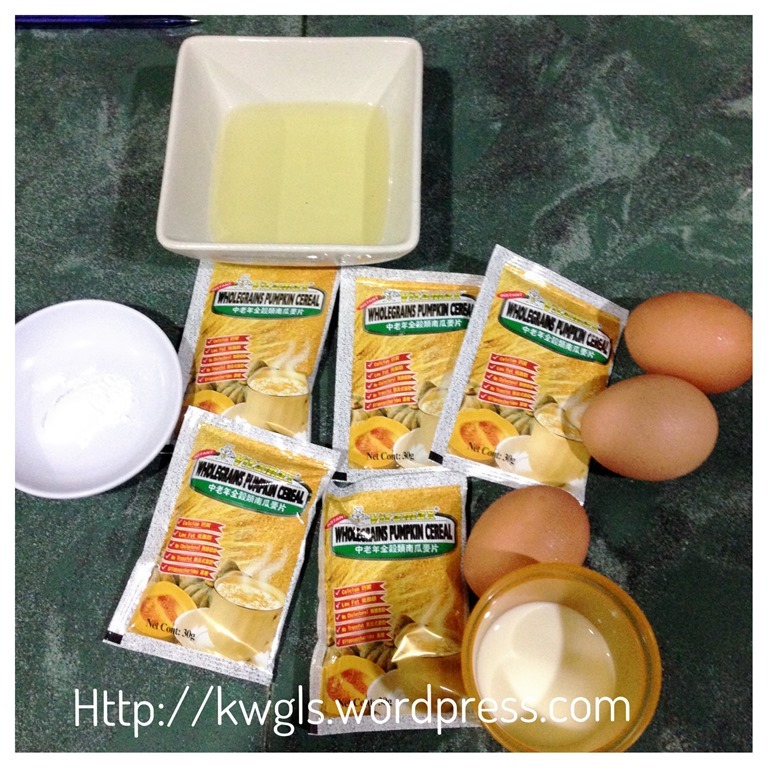 Thanks to your post today, I will be able to “clear stock” but first, I need to clarify a bit on the recipe.. If I were to use 180g cereal plus 100g castor sugar and 3tbsp of milk powder, do I need to make any adjustment on the liquid ingredients? Very thankful for your advice. Thank you v much. Hugs!! Enjoy your weekend!! If i do not have milk powder, can I use fresh milk to substitute? Just forget about the milk powder or substitute with plain flour. Just tried it. The texture is super yummy. 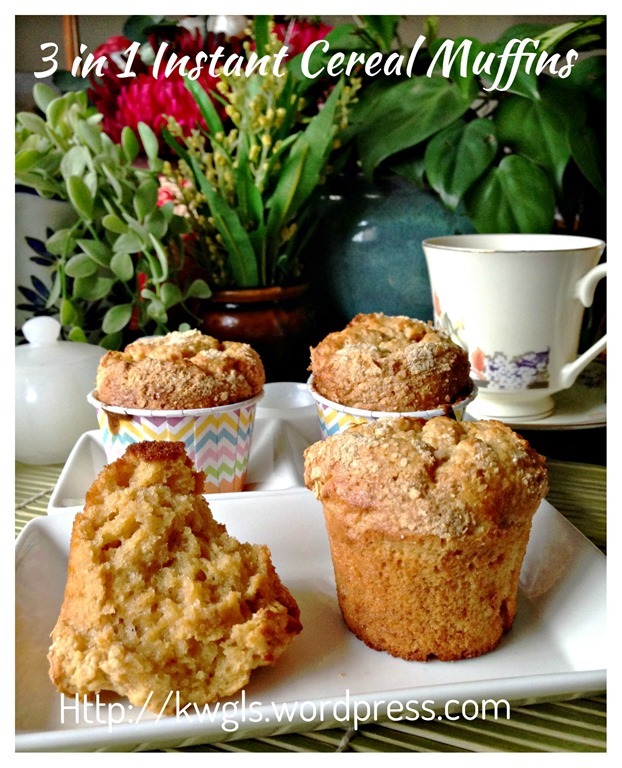 My hubby said this is nicer than those muffins with flour. Just curious, because my dough is not so liquid, it is quite thick. 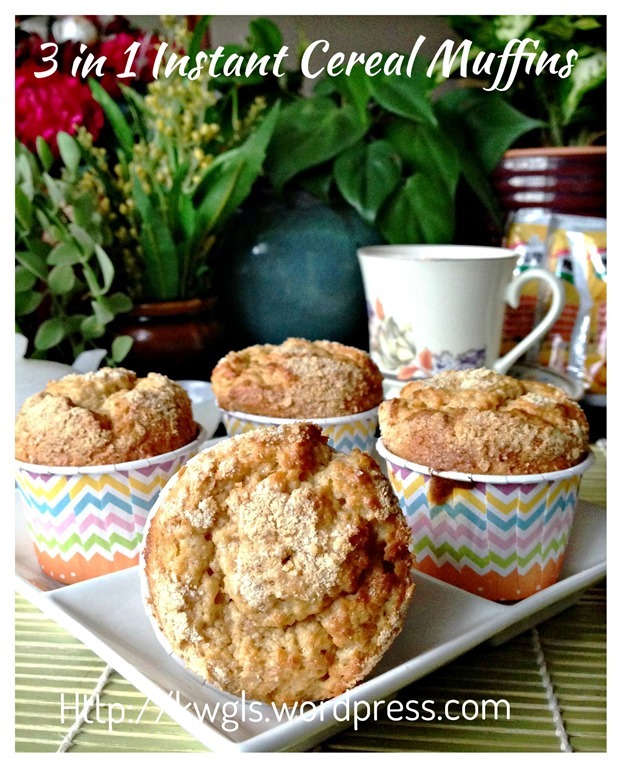 Will it affect the texture of the muffins? Or, should i add in more milk? Is the condensed milk an optional? Condensed milk do the binding in a cake and provide some sweetness. I will advise that you do not opt out. As for paypal issue, can you PM kenneth goh via Facebook and I will settle for you.